herbal programs, the HerbMeister has several books available for your consideration. 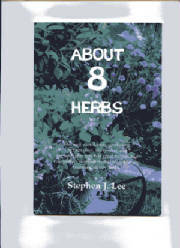 Stephen has written and published five useful books for herb gardeners and good cooks; however, only two are still in-print. He has a few more in various stages of completion that will be included here as they become available. Additionally, he will soon begin publishing books by other knowledgeable cooks and herbalist, offering them here for your consideration. Peruse the offerings and remember to check this section often as new books will be coming on line in the very near future. Getting a copy of either or both of these books is easy as pie by using the convenient online ordering process through PayPal. PayPal transactions are completely secure. 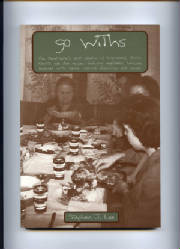 GO WITHS -- Side Dish Recipes, Featuring Vegetables - order yours today! The HerbMeister's first collection of time-tested, family-favorite side dish recipes, featuring vegetables. Uniquely seasoned with herbs, natural flavorings and spices. Over 175 delicious vegetable recipes. This long-awaited collection is now available. Order your autographed copy today. Softcover, 192 pages. $12.00 plus shipping. Herbal dynamite comes in this small package - order yours today! Fun and useful facts, gardening information, harvesting and preservation tips, ten great recipes that combined make one perfect summer meal using Stephen's favorite culinary herbs.